Bio: Pastor Brad Sullivan is a gifted minister of the Gospel, with a rich ministry heritage, being the third generation of preachers in his family. God has blessed him with a unique ministry as a Pastor and Evangelist. He is the Lead Pastor of Living Word Church in Mobile, Alabama. In addition to his pastoral ministry, he also ministers as an evangelist nationally and internationally encouraging pastors and churches, as well as, reaching the hurting with a message of hope and healing. Bio: Rev. Colin Miller B.Th. M.A. New Zealand 2017 is Pastor Colin & Elaine’s 35th year in ministry together. They first served as Assistant Pastors for 3 years, and have been Senior Pastors ever since. They are currently Senior Pastors of 2 Churches in two different cities. 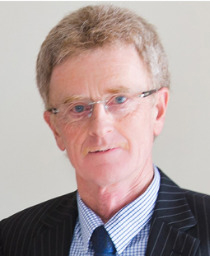 Colin has been a Trustee of ICFM New Zealand for 22 years. He has served as National Director, Assistant Director, and Treasurer; he presently serves as Assistant Director and Treasurer. He is well known for his practical wisdom and strong personal integrity. He has also ministered in 16 other nations outside of New Zealand. 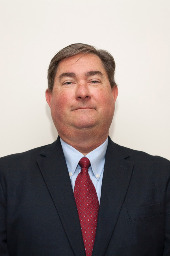 Bio: David White is a Senior Risk Control Consultant with Church Mutual Insurance Company. He has 30 years of experience in the loss prevention field. 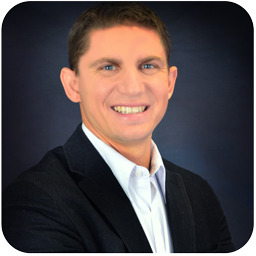 David holds the Certified Safety Professional (CSP) and Certified Fire Protection Specialist (CFPS) designations. He has also attained the Certified Playground Safety Inspector (CPSI) designation. David lives in Louisville, KY (originally from Tennessee) and serves Church Mutual’s customers in Kentucky, Tennessee, and Alabama. 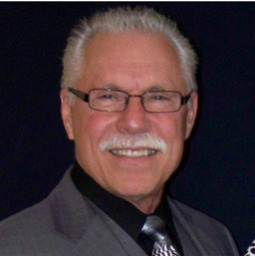 Bio: Dr. Jim Willoughby has been the Senior Pastor of Faith Life Center in Eastvale, California for over 27 years. Under his leadership the church has grown from 60 members to the largest church in the area, as well as one of the largest Word of Faith Churches in California. Over 52,000 decisions for Christ have been recorded through the church’s ministries. 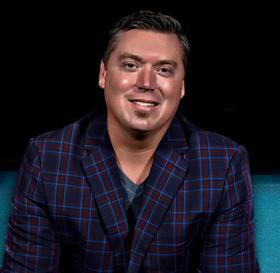 He is the host of Power Point TV, has been a guest on TBN and Daystar Television. 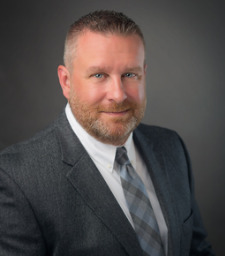 He serves the City of Ontario as Parks Commissioner, sits on the board of a Christian College, and serves as an advisor to several organizations. He serves as Trustee for the International Convention of Faith Ministries, which he has been a part of for over 25 years. For additional ministry information, you may visit www.faithlife.center. Bio: Colonel Somerville retired from the U.S. Marine Corps after 30 years, having served in Viet Nam, Somalia, Okinawa, Honduras, Turkey, Egypt, Korea (and the most dangerous of all) Washington, DC. His final 10 years in the Corps were in the Intelligence field with an emphasis on the Middle East. He first traveled throughout the Middle East in the early 70’s and has made more than 70 trips there in the ensuing years. His interest in the Land of the Bible and archaeology has enabled him to teach and guide dozens of small groups throughout the land of Israel. In 2005 and again in 2012 he was honored with the annual “Friend of Israel” award. Somerville earned a Ph.D. from Ohio State University. He has taught and coached at Princeton University, East Carolina, Georgetown College, and Ohio State. John and Mary live on a ranch in North Fork, California and have six children and too many grandchildren to count. John and Mary founded Zion’s Watchmen and incorporated it as a 501 (c)3 ministry in Texas. Zion’s Watchmen is committed to the biblical mandate to bless and stand with Israel and the Jewish people. Previously, for six years John was the Central States Coordinator for Christians United For Israel (CUFI). Bio: Dr. Larry Ollison is founder and Senior Pastor of Walk on the Water Faith Church and founder of Larry Ollison Ministries. With over forty years in the ministry, he is a very popular speaker nationally and internationally and ministers the Word of Faith through radio, television, Internet, and daily e-mail devotionals. 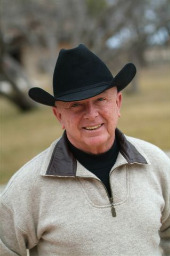 As the author of eight books (including The Power of Grace, The Practical Handbook for Christian Living, Breaking the Cycle of Offense, Life is in the Blood, and recently released The Paradise of God), he is in frequent demand for radio/TV interviews, book signings, and magazine publications. Dr. Ollison was raised a Southern Baptist. While majoring in theology at Southwest Baptist University, he received the baptism of the Holy Spirit. For many years he traveled extensively speaking at Full Gospel Business Men’s meetings and conventions. He later earned an M.A. in Theology and a Ph.D. and Th.D. from Life Christian University. 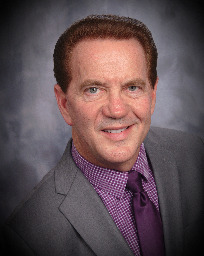 Currently President of International Convention of Faith Ministries (ICFM), Dr. Ollison is also Vice-President of Spirit FM Christian Radio Network, Missouri State Director of Christians United for Israel (CUFI), and a Trustee on the boards of several international ministries. He is also the host of The Cutting Edge Radio Broadcast and authors The Cutting Edge Daily Devotional. As the owner of a marine dealership, his extensive business background brings a unique flavor to his teaching. 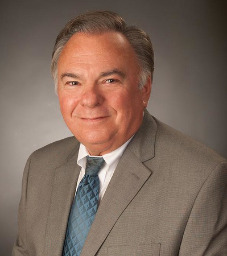 He founded and served as chairman of the Missouri State Marine Board, President of the Marine Dealers’ Association, Vice-President of a bank holding company, along with holding several directorships in various corporations. Dr. Ollison’s strongest areas of teaching are the blood of Jesus, faith, relationships, the Hebrew language, the Holy Spirit, the end times, and heaven. During ministry, he operates freely in the gifts of the Holy Spirit. His use of humor and his ability to make a theological concept simple makes it enjoyable and easy for everyone to understand. Countless testimonies have been received from people who say their lives have been changed after experiencing Dr. Ollison’s unique ministry. Dr. Ollison is a pastor, pilot, teacher, and author. His number one goal is to meet the needs of the people through the teaching of faith in God’s Word. He and his wife, Loretta, have two children and six grandchildren For additional ministry information, you may visit www.ollison.org. Bio: From 1980 to 2013, Bob Yandian was the pastor of Grace Church in his hometown of Tulsa, Oklahoma. After 33 years, he left the church with a strong and vibrant congregation to his son, Robb. Pastor Yandian has also authored over thirty books and established a worldwide ministry to pastors and ministers. He is widely acknowledged as one of the most knowledgeable Bible teachers of this generation. His practical insight and wisdom into the Word of God has helped countless people around the world to live successfully in every arena of the daily Christian life. Pastor Yandian attended Southwestern College and is also a graduate of Trinity Bible College. He travels extensively throughout the United States and internationally, taking his powerful and easy to apply teachings that bring stability and hope to hungry hearts everywhere. 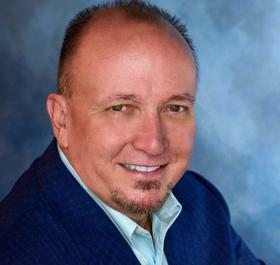 Bio: Chas Stevenson is the senior pastor of Houston Faith Church in Houston, Texas, that he and his wife Joni pioneered in 2002 which is now a dynamic, growing community of hungry saints who love Jesus, love one another and are working together to destroy the works of the devil. Chas is a stimulating Bible teacher and author of three life-changing books, God, Why?, The Call of the Christian, and The Real Grace. His ministry to the Church is marked with a demonstration of God's Word and power that quiets the emotions, stirs the spirit and brings people up to their high calling of God in Christ. With New Testament, scriptural logic that feels like bowling balls crashing through glass pins, Chas is a foundation builder of God's Word in people, holding nothing back in igniting people's faith toward God, while keeping false doctrine and common Christian distractions exposed and avoided. After leaving his business systems consulting career in 1997, Chas began serving the Lord with a powerful and refreshing evangelistic and healing gift, igniting churches and training believers to win souls and heal the sick. For several years he worked with Angelo Mitropolous in R.W. Schambach's last five years of tent meetings in the inner cities of America, coordinating street ministry and seeing multitudes saved, healed and delivered from demons. Since then he has successfully imparted into local church members an attitude of personal soul-winning and world evangelism that keeps believers glued to the primary call of the Christian, that will ultimately help them earn a "well done" in the end. Bio: Tom Brown is best known for his deliverance ministry. Millions have seen him on ABC’s 20/20, as well as on MSNBC and the History Channel. He is a noted conference speaker, prolific author, and committed pastor. He is the ICFM South Central Regional Director. His award-winning Internet site, www.tbm.org, reaches more than a million people each year. 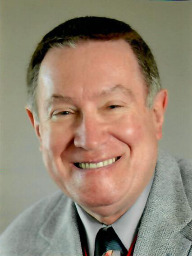 His previous books include You Can Predict Your Future; Devil, Demons, and Spiritual Warfare; Breaking Curses, Experiencing Healing; and Prayers That Get Results. Tom resides in El Paso, Texas, with his beautiful wife, Sonia. 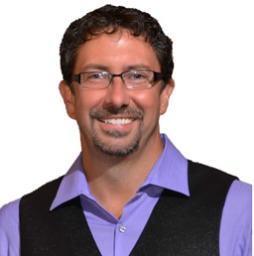 Bio: Zane Bousum has been the senior pastor of Spirit of Life Church on the westside of Indianapolis since 2011. Zane is married to Rachel Bousum, assistant pastor and church administrator. They both started attending Spirit of Life Church in 2002 and had served the church in multiple capacities, before becoming pastors. They have three awesome children, Josiah 10, Audrey 7, and Michaela 4. Zane graduated from Marian University in Indianapolis with a mathematics degree with the intent to teach high school math. In college he led Bible studies, was a resident assistant, and competed in collegiate athletics. Zane was a three time captain of the cross country team. After teaching and coaching for five years, Zane and Rachel knew the Lord had called them to assist Pastors Ed and Beth Barnes in building a great church and teaching victorious living through faith. Zane and Rachel have a passion for seeing lives transformed by believing the Word of God. 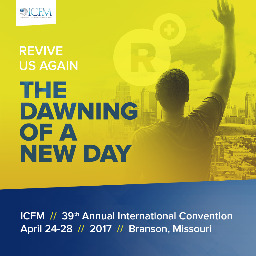 Zane and Rachel have been licensed and ordained by the International Convention of Faith Ministries (ICFM). Zane is also a District Director for ICFM. Bio: Candace Brim grew up all over the United States as a product of a military family. She attended college at Northwest Missouri State University in Maryville, Missouri where she received a degree in Elementary Education/Special Education. While there she met the love of her life, Chip Brim. Chip Brim is the youngest son of Dr. Billye Brim. Both Chip and Candace taught school and coached for over 10 years. In 1998, the Lord called and Chip and Candace into the ministry to train Champions 4 Christ. This calling has taken them all over the world preaching the gospel. Then in 2012, God called Chip and Candace back to Collinsville, Oklahoma to the church Chip grew up in. They are now Associate Pastor a long side Pastor Lee Morgans, Candace and Chip are helping to carry out the vision God has for A Glorious Church Fellowship. Candace is blessed to be a mother of 2 children. Taylor, 22 year old daughter who graduated from Missouri State University with a degree in Journalism. She resides in Colorado Springs, Co. and is the producer for Fox21 news station. Kaleb, 17 year old son that plays football and basketball. Volunteers at church in the media and the outreach department. He attends school at Rejoice Christian School. Candace believes that her portion in training Champions 4 Christ is to edify the body of Christ; In bringing believers into a stronger relationship with Christ. Building each other up so that we may run the race that God has set before us! 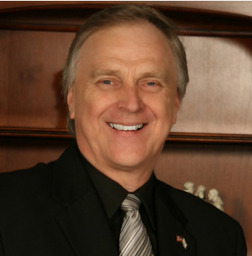 Bio: Founder and President of Life Christian University, Dr. Doug Wingate has a passion for educating the ministers of tomorrow. He has a world vision — and has created a network of campuses in churches across the United States and around the world. He has empowered these pastors to provide quality ministry education to their staff and others in their communities desiring to enter the work of the ministry.Today, Life Christian University is a global network of campuses, now numbering over 100 campuses located in 29 states and 13 foreign countries. LCU has graduated over 15,000 students with over 2,000 students currently enrolled. Born and raised in Tampa, Florida, Dr. Wingate is a graduate of Rhema Bible Training Center in Tulsa, Oklahoma. He holds degrees from Faith Theological Seminary, Moody Theological Seminary, and National Bible College. Dr. Wingate has over 30 years of diverse ministry experience, including music ministry, youth ministry, ministry administration, as well as 10 years as senior pastor. He has been involved in Christian higher education since 1993, founding Life Christian University in 1995. Dr. Wingate, along with other LCU faculty professors, developed the faith-based curriculum taught at the university worldwide. Dr. Wingate and his wife, Susan, live in Tampa with their three children: D.J., Ryan, and Annalee. For additional ministry information, you may visit www.lcus.edu. Bio: Jesse Vasquez began serving in the church at a very young age as an altar boy. His love for God’s presence drew him there. Although in service to the church for many years, it would not be until February 8, 1979, that Jesse would make Jesus Christ his Lord and Savior. The call that he heard as a young altar boy would only intensify. It was never a call to the five-fold ministry, but a call to the ministry of helps, the backbone of every strong church. Jesse found the fullness of his calling as an usher. Through the Lord’s favor he had the privilege of serving many fathers and matriarchs of the faith. In 1983 he served full time as head usher and in the publication department at Happy Church under the leadership of Marilyn Hickey. Discovering God’s plan for his life provided many opportunities for Jesse to serve in greater capacities. He has been honored to minister to God’s anointed throughout the years, great men and women of faith including Lester Sumrall, T.L. and Daisy Osborne, Kenneth and Gloria Copeland, Kenneth Hagin Jr., Mark Barclay, Jerry Savelle, Jesse Duplantis, Bill Winston, Pastor Jim Willoughby and many others. He has been asked at times to provide ministry of helps training to churches in the surrounding areas as well. Jesse currently serves under the leadership of Pastor Art Aragon at Heritage in Fullerton, California, and has faithfully been serving there since 2001. Bio: Joni Stevenson is a preacher and prophet who has a heart to build the Kingdom of God and bring people into the fullness of the Spirit-filled life. With years of pastoral and traveling ministry experience, Joni revives and edifies the Church as she brings a "now" message from God with demonstrations and gifts of the Spirit that ignites faith in God. Joni was born again at an early age in the Baptist Church. Upon graduating from college, she worked as a CPA and corporate accountant. As an adult, she developed a hunger for a deeper relationship with Christ, which led her to be gloriously filled with the Holy Spirit. Thereafter, the Spirit of God alerted her to her true call as a full-time minister. 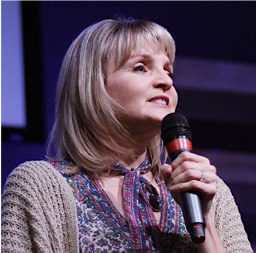 In 2002, Joni married Chas Stevenson, and they pioneered Houston Faith Church, an exciting and growing church in Houston, Texas, which they co-pastor. They are also founders of Stevenson Ministries, a traveling ministry that brings the message of faith and power. Joni's time is currently spent not only serving the assembly of saints at Houston Faith Church, but also serving the Church at large, traveling to preach in churches and conferences in the USA and around the world. She has authored two books. Her latest book, Eliminate the Fear Factor, reveals the spiritual secrets she found to eradicate fear from her life. She is ordained and affiliated with International Convention of Faith Ministries (ICFM) and resides in Houston, Texas. 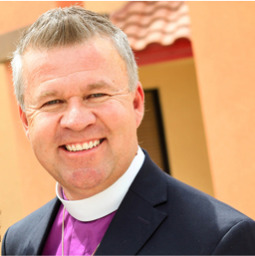 Bio: Compelled by a zealous assurance to see people flourish in every realm of their lives, Amazing Grace Ministries Founder and Pastor, Samuel Tressler has extended the ministry to 3 continents of world: Middle East, India and Africa. His passion coupled with his natural fervor, sincere concern for people, and anointed instruction has powered a work which spans over 22 years. The vision is to have churches in all the 7 continents of world, making a way for souls to get saved and for people to return the Lord. Samuel was brought to the knowledge of Jesus Christ as a teenager and has walked with God ever since. His distinct autograph style of candid honesty, humor, profound understanding of scripture, knowledge of the signs of the times and ability to build long-lasting relationships has made him sought after minister time and again. Samuel has a triple Master’s degree in Commerce, Marketing and Theology and is an entrepreneur by profession. He believes in being productively employed emulating the Pauline ministry model and supporting the work of the ministry. Samuel, along with his wife Arlene, travel to different countries of the world holding anointed leaders training workshops and evangelistic open air meetings which have drawn crowds of thousands of people to the Lord with accompanying signs and wonders. They are blessed 2 sons, Judah and Benjamin. Together they stand, to serve the Lord, extend His kingdom and dispense a Godly legacy. Bio: Rob Sowell, known as a minister to the ministers, operates in the apostolic gift of the Holy Spirit, edifying and encouraging all preachers of the Word from laymen to evangelists. Pastor Rob’s passion is to see the men and women of God walk in the integrity of their calling. Gifted to connect on a personal level and penetrate the heart, he impacts the believer to live an uncompromised life of honesty and godly character. Through unconditional love and compassion for the church, Pastor Rob accepts and affirms people from all walks of life and is a bridge-builder, connecting all persons to the knowledge of the Lord and the power of His might. He teaches believers how to strengthen their union with God and how to apply Godly wisdom in every area of life whatever the circumstance. Rob and Tricia Sowell are drawn to people from all walks of life. Their heart is to help people come to know the reality of God and His ways and be empowered through Christ Jesus to live victoriously. The Sowell’s Christian life began with Kenneth Copeland Ministries in Fort Worth, Texas. Rob worked as a member of Kenneth Copeland’s crusade team while Tricia was assigned to read and answer letters received from all over the United States. In their local church pastored by Jerry Savelle, they served in the ministry of Helps. Rob and Tricia’s knowledge and understanding of the Word grew greatly during this time. As a result of answering the call of God, Rob and Tricia stepped into the pastoral anointing. Ordained by Kenneth Copeland in 1982, they moved to Christiansburg, Virginia where they founded and continue to pastor Christian Growth Center. With over 30 years in the ministry, Pastor Rob and Tricia stepped into the apostolic and prophetic phase of their ministry in February 2002. As such, they minister to the Body of Christ, building up, encouraging, and equipping ministers, and helping believers mature in the knowledge of the Lord. Outreach Pastor, Eagle Mountain International Church. Attendees please download Whova event app, to access the information of all 23 speakers.